Showing results for tags 'princess luna'. Daughter of the Moon. Princess Luna Thread! GREETINGS MY SUBJECTS, AND WELCOME TO THIS THRED DEDICATED TO US, YOUR PRINCESS! PRINCESS LUNA! Ehm... princess. The voice... ... Sorry. This is better? Better. Alright, where I was? Oh yes. If you are here, it means that you had found my personal journal. I decided to make one to write about myself and write questions and answers ponies make to me, as long as they are not really ... odd to answer. I also had gotten myself an assistant for this matter. This... human, as you call them. That would be me. I am just here just to help Princess Luna organize all this. So don't mind me. Yes, well. Lets get started then! 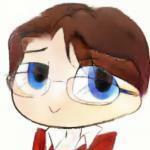 First, I shall talk about myself. As you all know, I am the princess of the Night, and I can remember, being destined to be it since I was born. Actually, I think I might have some photos of when I was a filly... D'aww, just look at the adorableness! I spent all my life dedicated to the ponies and watching over the night as always, being me the one that brought up the moon at nights, as well as make sure nopony had nightmares and be able to overcome their fears, but that changed one day. 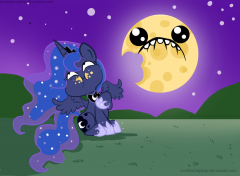 The day hearted and jealousy took over me and I became the evil Nightmare Moon. I tried to take over Equestira, but the elements of harmony stopped me and I was banished to the moon for 1000 years. Oh no! Too evil! After those 1000 years, I came back, but the elements of harmony stopped my evil side and freed me from her, sealing her deep inside me, so she would never be free again. 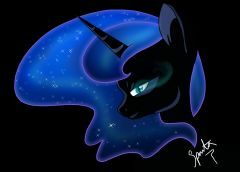 My sister forgave me and I soon regain control as the princess of the night in Equestria. I started working again, taking care of the ponies' dreams and the night, rising the moon at night and lowering it when it was time. I made sure that euqestria was safe, taking care of evil creatures that came to do any harm to the ponies. I kept vigilant all this time. Now that I had talked about me, I want to know what you all want to say or ask me, so feel free to ask what ever you wish to know, Ehm, this is were I come in. Feel free to post anything in here, comments and questions, or pm me for that. Princess Luna will reply when she can. I will be updating this thread when I can. This was just lineart for ages since Ive been in a art slump. Finally decided to color it. I might revisit this later since there was alot I wanted to do here, but just felt like keeping it simple. Enjoy some Luna/Nightmare moon. Luna stared out the window of the train, watching as fierce winds laden with heavy snowflakes whirled around outside. It seemed as though the weather outdoors was reflecting her mood, although that might be hyperbole. The princess sighed and pulled her gaze away from the storm, looking idly around her personal train car for some sort of distraction. It shouldn’t be long before the train arrived in the Crystal Empire and she could see Cadence, but she was feeling quite restless all the same. The Princess of Love had been having troubling nightmares lately, and her aunt, the Guardian of Dreams, felt that she should approach her about it. She could have spoken to the new ruler of the Crystal Empire within the dreamscape, but Luna felt as though this was an opportunity not just to help Cadence, but also to spend some quality time with her as well. The Princess couldn’t settle on what to distract herself with. Her restlessness was tempting her to leap from the car and fly the rest of the way to the Crystal Empire, but she knew better than to hop right into to wailing blizzards of the north – that would be dangerous even for a princess who lived with two hooves in the æther. Unable to decide on what to do, Luna turned back to the window and was met with quite a shock! Just as the scenery turned from violent wintry storms to a balmy summer paradise, a strange jolt of arcane energy seemed to rustle her heart. She had just passed through the magical barrier that protected the Crystal Empire, and what impressive magic it was! It had been some time since Luna had felt such an unfamiliar and powerful surge of energy. Before long, the train slowed to a stop and Luna stepped out of her car, nodding to the two members of the Lunar Guard who had accompanied her. Already, she found herself smiling at the radiant beauty of the crystal ponies and crystal structures surrounding her, and this was merely the train station! With eagerness in her stride, the lunar Princess began to trot forward through the gate, aiming to reach the castle as quickly as possible. That goal was proving to be a difficult one to meet without temptation. As soon as Luna reached the sprawling crystal metropolis, she felt sorely tempted to move leisurely and take in the sights. Everything here twinkled and sparkled! The atmosphere was unlike anything she had ever seen, and the ponies whose gazes she was drawing with her presence (and the presence of her rather eye-catching guards) were equally as stunning as their city. Nonetheless, despite temptation, Luna kept her teal eyes trained on road signs and swiftly made way to the castle. Once there, she resisted the urge to gape and gawk at the massive, glittering spires. Such remarkable beauty! And surely the craftsmanship that had gone into it was even more remarkable than the structure itself. Luna cast a glance backwards, then, and smiled as she noticed the slack-jawed expressions on the faces of her guards. It was so unusual to see such normally stern faces so swept up in the beauty of the Crystal Empire, but their expressions were reflecting their Princess’s own reaction perfectly. Soon enough, she was upon the castle entrance, which was flanked by guards. She dipped her head respectfully and then approached one of them, making sure to show manners and graciousness as opposed to simply charging in and throwing around her obvious authority (which was announced by her regalia, her size, her combination of horn and wings, and the ethereal quality of her undulating mane and tail). [colour=#6699ff]“Good afternoon, sir,”[/colour] she said politely, dipping her head to the blue crystalline stallion, [colour=#6699ff]“I am Princess Luna, the aunt of your Princess Cadence. She was not expecting me, but could you please inform her of my arrival? If you don’t mind, I shall wait here in the foyer.”[/colour] The guard nodded, and after allowing the Princess and her guard to step into the foyer he followed after and went off in the direction Cadence was to be found, no doubt. Luna’s spirits, which were much higher than they were back in the blizzard, were still steadily rising as she took in the outstanding beauty of the crystal castle. 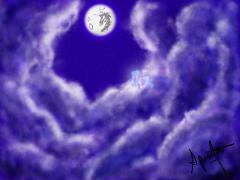 Colour and light came to life here in a way that Luna had never seen anywhere else in Equestria. The light that came from the sun bounced off of every surface and painted every inch of the world inside the castle that wasn’t made of crystal with the pale, reflected hues of the tall walls and decorations. What a wondrous kingdom Cadence lives in! [colour=#000080]PRINCESS LUNA: A COMMENTARY BY BELLOSH101[/colour] Hello, and welcome to another edition of “Canterlot RP Spotlight”. This week, I’ve taken the liberty of covering one of our site’s most beloved cast characters. Ladies and gentlemen, I give you Her Highness, the Princess of the Moon & Night: WARNING: HERE BE RP SPOILERS. I don’t think anyone here needs to be told who Princess Luna is. You know, the younger sister of Princess Celestia who got banished to the Moon for a thousand years, terrorized a town with antiquated ROYAL CANTERLOT TRADITIONS, and plays games of Inception with Equestria’s foals. For a character who only has a major appearance once per season, Luna has received quite a nifty character arc for herself. It’s not very hard to see why she’s become so popular with the MLP fandom. 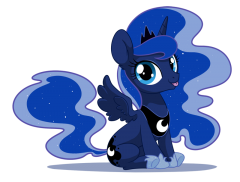 Over here at Canterlot, Princess Luna has been portrayed by MyLittlePonyTales since almost the beginning of the forum’s existence. Just like with the show, Tales’s Luna underwent a character arc of her own. Behaving early on as the shy remorseful princess that many fans took Luna for back in the old days, the princess in Mane RP learned how to take names and regain her alicorn powers. Nowadays Luna enjoys seeking out the company of other ponies, although her royal status ensures that she gets surrounded by folks wherever she goes. Having already been spotted in such places as Sweet Apple Acres, a Canterlot coffee shop, and even a shop next to a junkyard, who knows where we’ll see Luna next? Before we go forward, here’s a blast from a past for all of you fine people: the original Season One-era version of Tales’s character profile for Princess Luna: ----------------------- [colour=#000080]The Castle Garden[/colour][colour=#000080] / [/colour][colour=#000080]Night Walk[/colour][colour=#000080] / [/colour][colour=#000080]Recuperation in... Paradise? [/colour][colour=#000080] / [/colour][colour=#000080]Good Morning, Skyeshine[/colour][colour=#000080]:[/colour] Forming a four-part series, these RPs will give readers a glimpse into the really old days of Canterlot RP, when Princess Luna hadn’t yet became her Season Two self and when members could RP as OC relatives of the Royal Princesses themselves. The story begins in the castle garden, with the angsty Luna running away from Princess Celestia, played back then by MudBug, after telling her sister about a moon celebration she was contemplating. Heading off into the Whitetail Wood at night, Luna finds a new friend in the form of Skye, a long-lived peryton portrayed by the RPer of the same name. Along with finding someone new to bond with, Luna also begins the process of patching things up with her older sister... all after a brief scare with a ferocious bear first! As readers can see, Tales’s Luna has come a long way since early 2011. Leaving off after the “Elements of Harmony” pilot episodes, Her Highness’s powers still hadn’t returned to her at the time, leaving her to mope about her uselessness. More importantly perhaps, the princess was too afraid seek out other ponies during the early days of Canterlot RP, thinking that everypony still hated her due to turning into Nightmare Moon. With all those chips on her shoulder, it’s thus a major accomplishment for Her Highness to make a friend in modern-day Equestria. Of course though, Luna would still have miles to go before she truly “returned to form”..... ----------------------- [colour=#000080]One is the Loneliest Number:[/colour] In due time, Princess Luna summons the willpower to show her face in Canterlot. Filled with anxiety, she braves the city streets and quickly finds herself surrounded by ponies. Her earlier fears that her subjects would cower in fear due to her dark past proved to be unfounded... somewhat. When overzealous guards arrive on the scene to drive onlookers back, one young mare is left in hysterics over her persumed arrest. Luna however authoritavely sends the guards off and successfully calms down the mare, Riverhippo's OC Granola Gracie. And so Miss Gracie winds up as the first pony in Mane RP whom the princess personally wins over. All and all, things went rather well for Her Highness. Aside from seeing once and for all that her subjects did not fear her one bit, Luna for the first time made use of her royal authority for one of the very first times post-NMM. Not only that, but the princess even learned of "night clubs" for the first time. Yet it would take another RP for Luna to eventually unlock her innate powers..... ----------------------- [colour=#000080]An Eccentric Trespasser:[/colour] What started with the “Skye Quadrilogy” comes full circle with this RP, as we finally see how Princess Luna completes her transformation into the alicorn that we now know and love. When Luna and Celestia stumble upon the strange Doctor Whooves, still played to this day by Bramble Rose, the Royal Pony sisters get more than they bargained for when they follow the Doctor into the underbelly of Canterlot Castle. To their horror they find the lower levels infested with manasprites, parasprite-like bugs that feed off magic and have cocooned a number of guards. It is left to Luna to distract the main swarm while Celestia and Doctor Whooves confront the Manasprite Queen. As one might expect, the trio end up eradicating the bugs and saving the day. For Princess Luna however, the adventure also awakened her dormant alicorn powers and restored her to her true stary-maned self. With the life of her subjects and her sister on the line, we also see the princess finally shake off her self-doubt and confidently step up to fulfill her role as bait. Gone forever is the old Luna who lamented her worthlessness and past history; in her place is a princess that we see in Mane RP today. Taking place over the course of a year in real-time and going through two Celestia-RPers in the process, “An Eccentric Trespasser” should be read by all Canterlot members interested in adventure RPs. Aside from seeing the princesses work together as a team, Doctor Whooves's oddball personality provides a humorous foil to the down-to-business royal alicorns. In many respects, the story feels like something that came from an actual Doctor Who episode. Before moving on, I just wanted to add this quote from the Doctor concerning her potential: ----------------------- [colour=#000080]A Night Under the Stars:[/colour] Now confident in her mantle as Princess of the Night, Luna is much more willing to wander out of the castle and make the acquaintance of her subjects. She encounters on one of her nocturnal expeditions the unicorns Ice Storm and Fire Heart, OCs used by IceStormx and Lux respectively who control their namesake elements. Later on, the trio also meets another night lover named Moondancer (one of my OCs as a matter of fact) while bonding at a deserted coffee shop. In this thread, Luna is shown to be quite well adjusted to contemporary Equestria... at least more so than her immediate post-NMM self. Her Highness still finds it a bit odd that her night has become more appreciated nowadays, but you won’t see her angst over how she doesn’t deserve any sort of praise whatsoever. As a sign of her newfound maturity however, Luna additionally proves herself more comfortable with providing guidance and inspiration to her fellow ponies. In short, “A Night Under the Stars” is a neat glimpse into how Luna performs in an intimate RP setting. ----------------------- [colour=#000080]1[/colour][colour=#000080]00 Country Kisses:[/colour] If the previous RP could be considered “cozy”, this thread would be the exact opposite. Craving the taste of fresh apples, Princess Luna inadvertently winds up as one of many ponies who descend upon Sweet Apple Acres on the day of a special promotion; buy a bushel of apples, and get a kiss from Applejack (as played by Riverhippo). Using her royal prestige to cut to the front of the line, Luna proves herself to be a rather fussy customer. 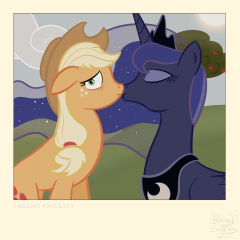 Not only was she dissatisfied with her apples, but she even demanded a redo of the kiss AJ provided. At least it made for a good picture though: (Image drawn by BrainedBySaucepans) If anything, “100 Country Kisses” shows what happens whenever Princess Luna is inserted into a thread with a crowd of other characters in an Open RP. Namely, ponies lose their minds as they either rush to bow to one of their rulers or otherwise seek out her attention. Thanks to such crowds, it can be rather hard for characters to have some proper one-on-one moments with the princess. This brings us to our last spotlighted thread for the day..... ----------------------- [colour=#000080]AMA: Princess Edition:[/colour] As part of a month-long stunt by the Canterlot Royal Public Relations departments, all three of Equestria’s princesses solicit letters from their subjects and respond to them as they see fit. As one of the three princesses, Luna gets bombarded with a whole slew of letters. Those who have engaged in written back-and-forth correspondence with her so far included an adorable filly, a pirate, a sleep-deprived weather pony, and more. If you want your character to interact with Luna without dealing with pesky crowds, then this thread is absolutely for you. Heck, who knows what will come with your OC's correspondence with the Night Mare? So don’t delay; post today!!! ----------------------- And now, here’s an interview of the ever-amazing MyLittlePonyTales where the secrets of RPing as Luna are revealed to all: ----------------------- And that’s a wrap. As usual, I hope everyone here enjoyed this latest read. Come back next week when I go ahead and spotlight another one of our site’s great RP threads. PS: Enjoy the new year, everybody! Fourth request from my 29-30/12/12 Livestream, taking me up to the 14 hour mark... riverhippo requested this from his ongoing 100 Country Kisses RP. Applejack thought that offering a free kiss with every bushel of apples sold would be a good way to move some surplus stock. Little did she know that a certain princess was looking to make a purchase, or that Granny Smith would inadvertently capture the special moment for prosperity. It's been a while since I drew a Princess, so I decided to draw my favorite one, Princess Luna! 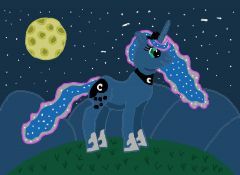 Here we have Luna standing on a hill, admiring the night sky she helped create. 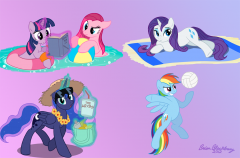 Making a set of a dozen different "ponies in socks" magnets for an upcoming convention (these were first showed in pencil in a thread); managed to finish the entire set. Not sure if all are suitable for the gallery (although none are adult), this one though I figure is alright. *Update* They did pretty darn well at the convention, Luna here sold the second most. Just more little banner concepts. This is what the page looks like before I slice it up (sans background) for banners. Luna is slightly lighter colored then what she appeared in Luna Eclipsed, given that took place at night and all the ponies were overlayed with a slightly darker shade. The wet manes were fun to do, just wanted to add some extra shades to indicate water rather than just have the manes be down. I would like to do some sort of adventure story where Princess Luna takes centre stage, as the leader of a group of adventurers, but the twist is, she's the only one from Equestria. I have various ideas of how to bring them together, and what the quest would be, possibly find a way back to their home dimensions, as in my fic Cutie Mark Adventurers. I have two ideas about the content of the group, one would be, someone's collecting magical Lunas, so you get Princess Luna, Usagi Tsukino and Luna Lovegood as an adventuring party. This would also have a B plot about a Rescue party from Equestira, probably including the mane six, going through the various home dimensions in search of Luna. The alternate would be an equine adventuring party. Luna would obviosuly be the arcane caster (Wizard/Sorceress). You'd have characters like Pegasus from Hercules (Ranger/Scout), Maximus from Tangled (Fighter), maybe Angus from Brave (Barbarian), maybe even Donkey from Shrek (Rogue/Bard). I'd like another female, prefereably a unicorn, but the only one I can think of is Almathea from The Last Unicorn (Druid). Can anyone think of any others, or have any ideas of their own about this? MyLittlePonyTales' OC Shadow, taking tea with Princess Luna in the Canterlot Gardens. I spent a lot of time on this image, and it's gone through a lot of changes since I did the original. Personally, I'm not really happy with the background, but I've gained a lot of experience, so yeah. © Original Character is property of user MyLittlePonyTales. Obtain their permission if you wish to use this image.